Thousands of children have been either forcibly recruited or tricked into fighting in the armed conflict in the Democratic Republic of the Congo (DRC). 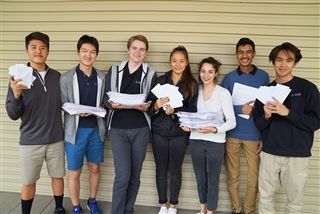 Students in service learning group Amnesty International held a letter drive campaign earlier this month and collected about 2,300 letters to send to the DRC's president! The letters ask him to put effective measures in place to stop violence in the Kasai region, especially among children.